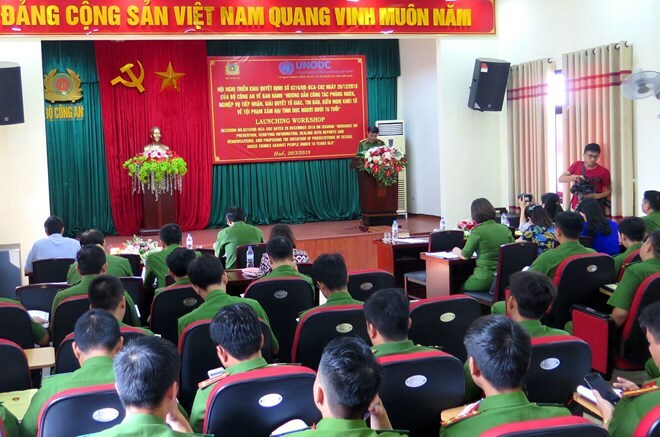 Thua Thien-Hue (VNA) – Experts exchanged expertise in preventing and prosecuting child sexual abuse cases at a workshop held in the central province of Thua Thien-Hue on March 20. The event was organised by the Ministry of Public Security in collaboration with the United Nations Office on Drugs and Crimes. According to Colonel Ho Sy Niem, Deputy Director of the Criminal Police Department, child sexual abuse and violence have remained rampant in Vietnam. Although various programmes, plans and legal frameworks have been employed to tackle the problem, the number of child sexual abuse cases have been increasing across the country, with many incidents remaining unreported. More than 1,500 cases of violence against children were detected in 2018, down 45 percent, with sexual abuse accounting for 80 percent. Children have been sexually, physically and psychologically abused at home and schools by acquaintances, family members, parents, caretakers and teachers. Last year, police handled 538 criminal cases and 55 administrative cases having close relations to child abuse. At the workshop, participants discussed challenges in the fight against child abuse and violence, and said that the issue should be paid more attention to in each locality.